CCSI | Secure keeps your firewall up to date and centrally managed and monitored for threats. No more paying to have your firewall maintained with unknown expenses. CCSI | Secure puts all of your perimeter security under a low cost plan so that you can easily budget how much your Perimeter Firewall Security will cost you. This keeps your Total Cost of Ownership manageable. And you will have the peace of mind that you will never again wonder if your firewall is actively processing your inbound and outbound traffic to detect threats from the connected world. 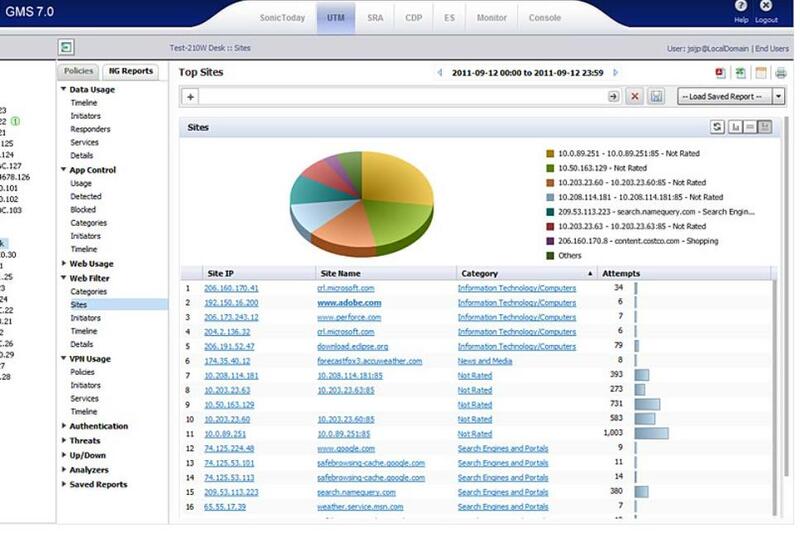 Best yet, you can have detailed activity reports on what your firewall is catching and preventing. 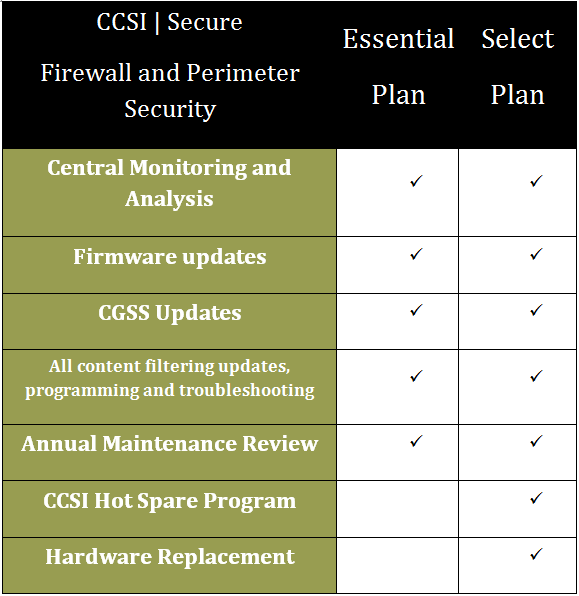 The CCSI | Secure Select plan will refresh your Perimeter Hardware Device every 3 years so you will receive a new firewall with the latest in processor technologies every 3 years. This will keep the Firewall and Software up to date without a big hit to your IT budget. 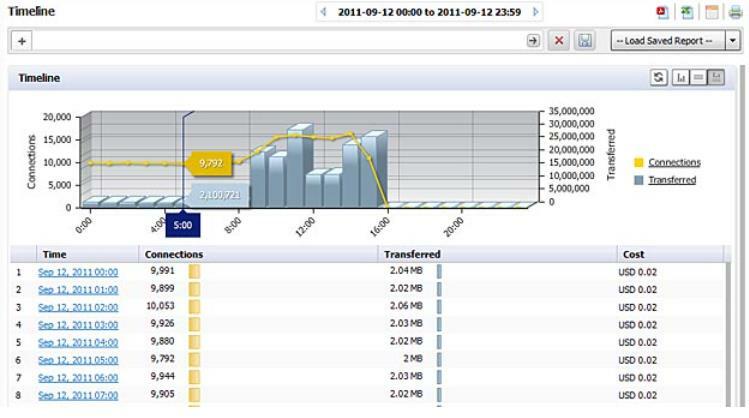 Our system monitors your Firewall Hardware and network traffic. Your firewall will be updated to the latest in available firmware to help detect and prevent attack. Content Filtering and Monitoring software will be installed on your firewall and will watch each packet of information for viruses, malware and other known and sometimes unknown attacks. CCSI | Secure is complete network security in a single integrated package. Understanding network security can be complicated, but ensuring that your network is secure from malicious threats shouldn’t be. CCSI |Secure Leverages the Dell SonicWALL™ Comprehensive Security Suite (CGSS) and removes the complexity associated with choosing a host of add-on security services by integrating all the network security services required for total protection into a convenient, affordable package that turns any Dell SonicWALL network security appliance into a complete Next-Generation Firewall solution. If your Firewall device is no longer supported by Sonicwall, CCSI will install a new comparable device at no extra charge to you. CCSI | Secure and the Content Filtering Gateway Security Services keep your network safe from viruses, spyware, worms, Trojans, intrusion attacks and other online threats. As soon as new threats are identified and often before software vendors can patch their software, the Dell SonicWALL security solutions are automatically updated with signatures that protect against these threats and stop attacks before they can make their way into your network, ensuring you have around-the-clock protection. Your Dell SonicWALL solution also has the ability to manage internal access to inappropriate, unproductive and potentially illegal web content with comprehensive content filtering. Finally, this powerful services bundle also includes around-the-clock technical support, crucial firmware updates and real-time reporting capabilities. Many consumer-grade solutions lack the processing power and security sophistication to scan traffic for all threats without slowing down the network. Unlike these consumer solutions, the CCSI | Secure models utilize patented Dell SonicWALL Reassembly-Free Deep Packet Inspection® (DPI) technology to examine traffic simultaneously across all ports without introducing latency to the network. As a result, organizations are not required to make a choice between advanced DPI security and network performance. With the CCSI | Secure Firewalls, they can have both. The Firewall then report that information into the CCSI Network Operations Center and Monitoring Analysis center to allow us to watch for trends that can affect your Network performance and be indicators of threats or attacks. Statistics and Metrics from your firewall are aggregated and sent in to our Central Monitoring server where they are analyzed for trends and threats. 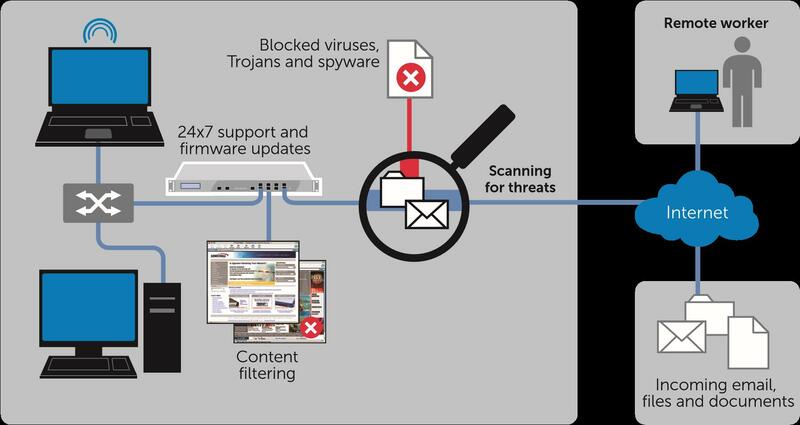 Should and outbreak occur, we can often detect and block them before your firewall is attacked or threatened. CCSI | Secure Global Management System (GMS)p provides a powerful solution to centrally manage and rapidly deploy firewall, anti-spam, backup and recovery, and secure remote access solutions. Flexibly deployed as software, hardware, or a virtual appliance, CCSI | Secure GMS offers centralized real-time monitoring, and comprehensive policy and compliance reporting. The Solution streamlines security policy management and appliance deployment, minimizing administration overhead. We can now simplify the security management of for added redundancy and scalability. CCSI | Secure comes in two offerings. The CCSI | Secure Select contains the firewall appliance and replaces it every three years; the other supports your existing hardware. Will the firewall slow down my network? No, the Firewalls we put in place have enough horsepower to inspect your network traffic and keep up with your ISP provided speed. How often will you replace my firewall device? Under the CCSI | Secure Select Plan, we replace your hardware every 3 years. How much will updates, upgrades and changes cost me? The CCSI | Secure system includes all updates, firmware installation and content filtering changes to your firewall device. With this new firewall, will I still need Virus Protection on our computers? Yes. You will always need virus protection on your Servers, computers and other devices. A firewall can only limit the exposure of an attack. No system is 100% capable of preventing viruses and malware. So the more ways you have to detect a virus, the better. What if we do get a virus on our network? Is that expense covered? The CCSI | Select Plan does not cover remediation of viruses. CCSI has other plans we offer that would cover that type of event.